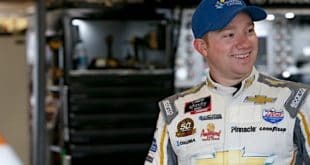 Cup: Darlington Lives Up to the Hype – All of the hype leading up to Sunday night’s Southern 500 put NASCAR in a win or lose situation. With so much excitement brewing for the throwback weekend theme, the action on the track, desperately needed to entertain, and entertain it did. 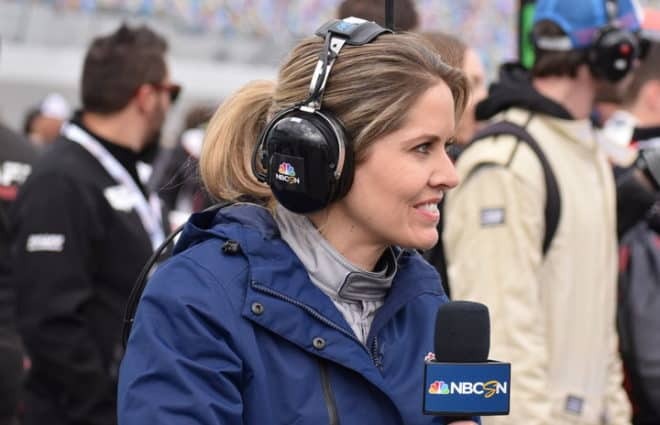 Leading up to the race – and all throughout – social media was abuzz, and you could even feel the energy through the television. Slipping and sliding, beating and banging and the ability to actually drive up behind another competitor and make the pass stick. It was the kind of racing that picked me up and dragged me into the sport 21 years ago, and it pulled me right back in once again. The key here is how NASCAR moves forward, though. While we already know the sanctioning body is sticking with the normal 2015 rules package for the Chase (YAWN! ), moving forward to 2016, NASCAR has a critical decision to make. 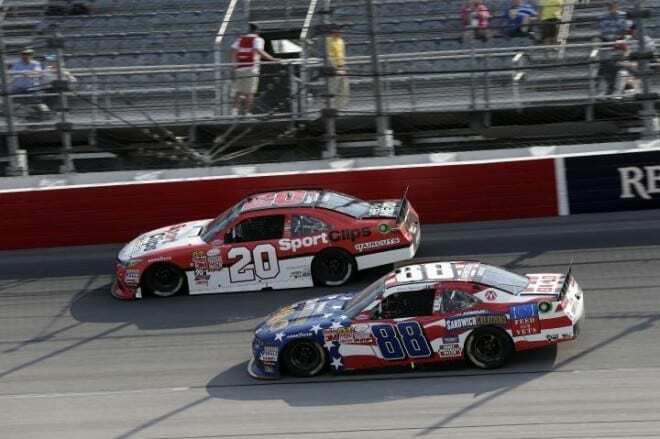 This lower downforce package that created so much great racing at Kentucky earlier this year and again in the Southern 500 has the ingredients to bring the sport closer to its heyday from the mid to late 90s. 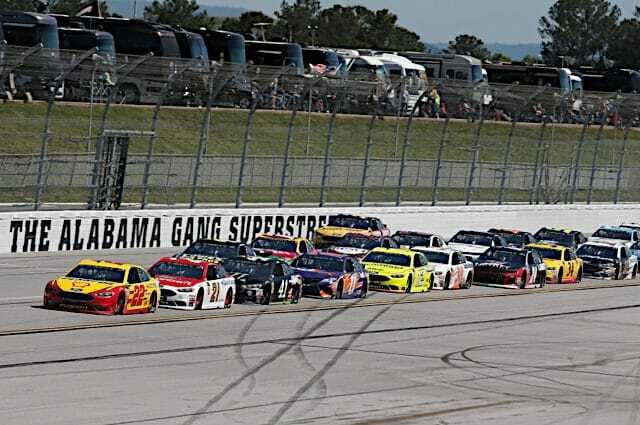 Either the sanctioning body can play it conservative and only minimally change the package for next season, or it can go bold and put this package, along with a tire that wears out before the end of a fuel run, in place. 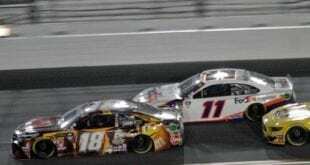 XFINITY: Another Dominating Day for Denny Hamlin – For a moment, it appeared as if Daniel Suarez could hold off Denny Hamlin to win his first XFINITY Series race. But with fresh tires, nothing could stop the No. 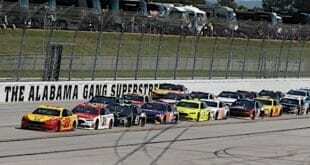 20 car from entering Victory Lane on Saturday afternoon. 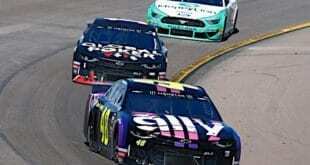 Hamlin dominated at Darlington, leading 117 of 147 laps. 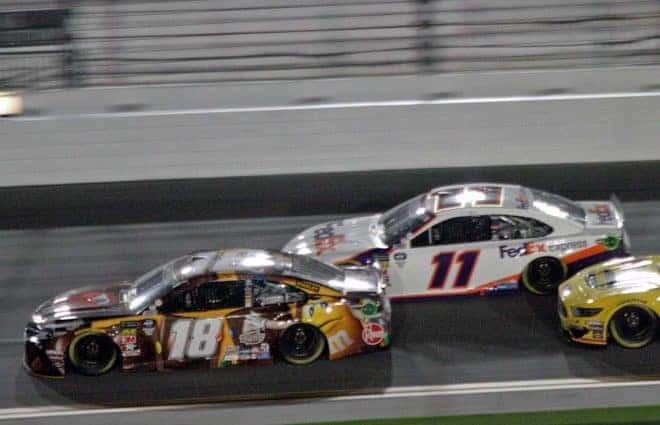 Leading over 100 laps for the fourth time in his 10th start of the year, Hamlin gave Joe Gibbs Racing its eighth win of the year in the XFINITY Series. In a 1-2-3 JGR finish, the organization dominated the day. Kyle Busch started 36th, but ultimately flew by traffic, as expected. But the big story is Suarez, who surprised many by being able to conserve enough fuel until the end of the race, taking home the Dash for Cash bonus. There were a few surprises at Darlington, including the JD Motorsports duo of Landon Cassill and Ross Chastain. The two finished inside of the top 10 after saving enough fuel to make it to the finish. Parker Kligerman stepped in a racecar for the first time since Darlington in 2014. 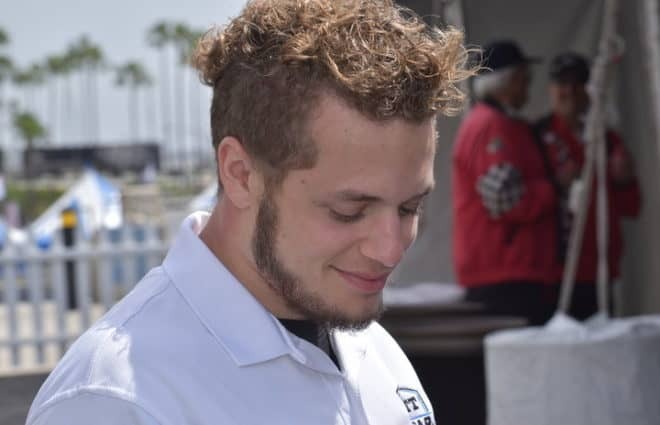 He finished 21st for Obaika Racing, which gave the new team its best finish at a non-plate track. Formula 1: Hamilton Masters Monza – Lewis Hamilton completed a weekend sweep at the Italian Grand Prix, leading all three practice sessions, earning the pole position for the race and then leading from start to finish to claim his 40th career win. Sebastian Vettel, to the delight of the partisan Ferrari crowd, took second with Felipe Massa, himself a former stalwart at Ferrari, rounding out the podium. A couple moments of late race drama unfolded for both of the Mercedes drivers. With five laps remaining, Hamilton, who already held a 20-second lead, was told by his engineer to push but with no explanation given. The only words offered were that things would be discussed after the race. It turns out that the team realized that the tyre pressures on their cars were under scrutiny, a matter later concerned after the race. NHRA: Big Go Qualifying, Traxxas Shootout Victors, and 2016 Schedule Highlight Busy Weekend – Eliminations for the Chevrolet Performance U.S. Nationals are not until Monday, but qualifying was complete as of Sunday. 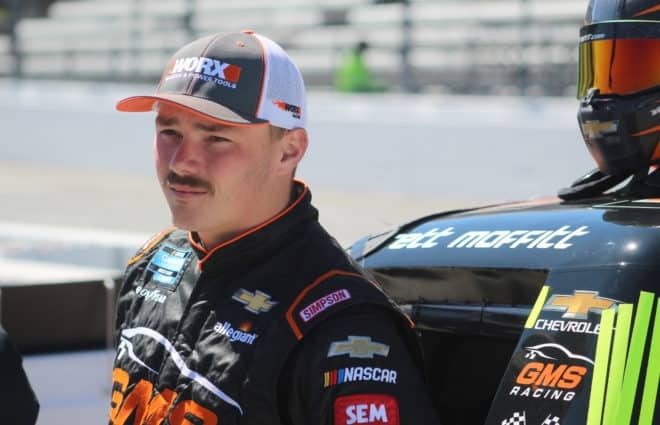 Action was rained out on Friday, but after two Saturday and two Sunday rounds Larry Dixon in Top Fuel, Jack Beckman in Funny Car, Greg Anderson in Pro Stock and Chip Ellis in Pro Stock Motorcycle will start on Monday as the No. 1 qualifiers. In addition to qualifying, the Traxxas Nitro Shootout was also contested over the weekend, with Antron Brown taking the win for Top Fuel on Saturday. Brown raced his way past J.R. Todd and Richie Crampton in earlier rounds before going up against Doug Kalitta in the final round. It was Brown’s first Traxxas Nitro Shootout win and gives him bragging rights in addition to a $100,000 payday. Giving Don Schumacher Racing a double-up in the all-star event, Jack Beckman took home the $100,00 and the honors in the Funny Car round of the Shootout on Sunday. Beckman defeated Courtney Force and Ron Capps in earlier rounds before facing off against Robert Hight in the final round. The NHRA also released the 2016 schedule over the weekend. As usual, the season will open and close at Pomona and the U.S. Nationals will take their traditional Labor Day weekend. The schedule currently consists of 23 events, mostly in the same order as 2015. Charlotte 1 and Las Vegas 1 swap, with Las Vegas taking the opening weekend of April and Charlotte moving to a date later in the month, and Epping and Englishtown swap order from 2015. For the moment, Heartland Park Topeka is not on the schedule, but NHRA officials are talking with the new ownership group for the track and could add an additional race to the schedule at a later time pending the outcome of those discussions.